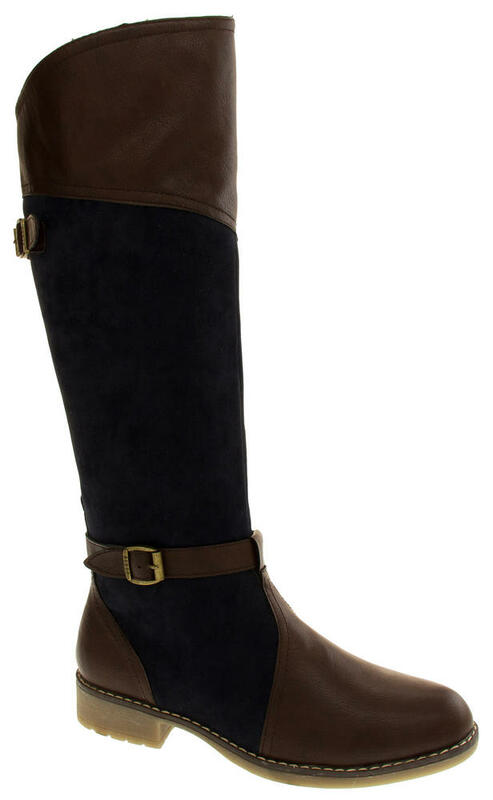 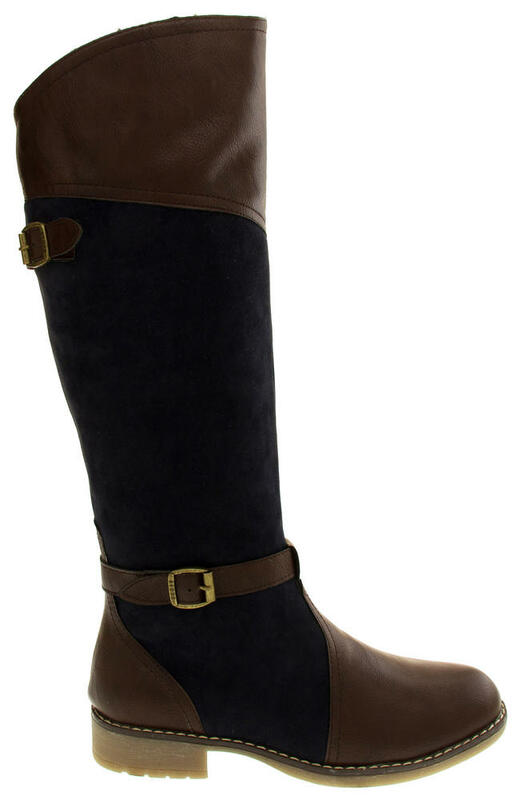 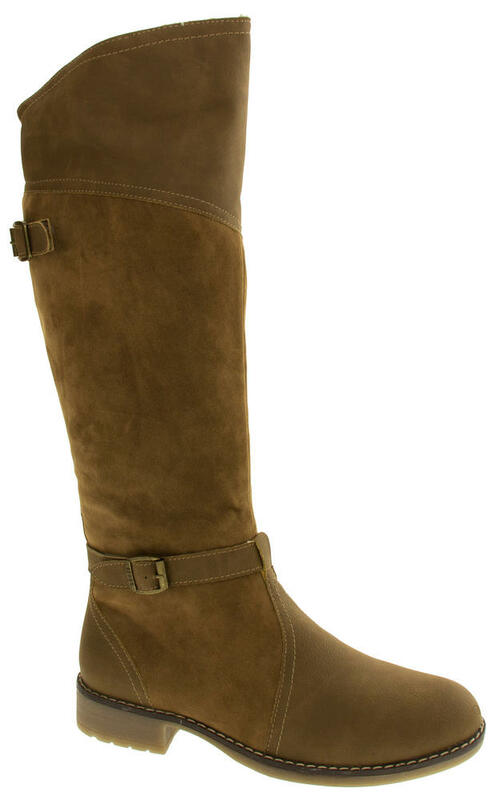 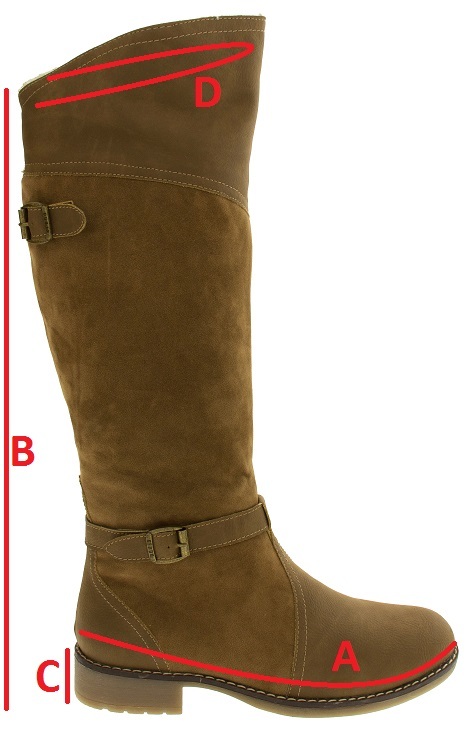 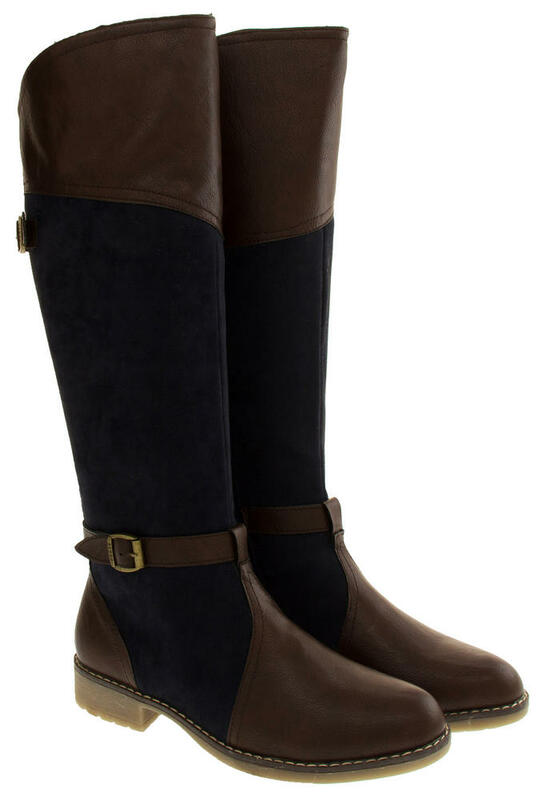 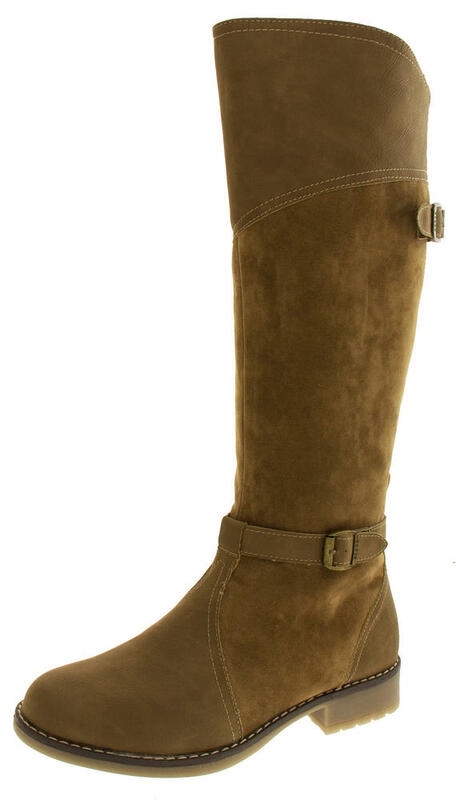 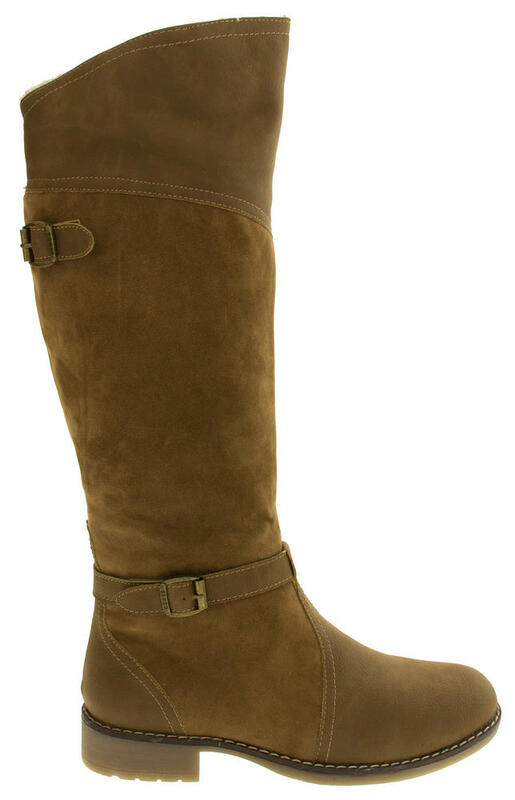 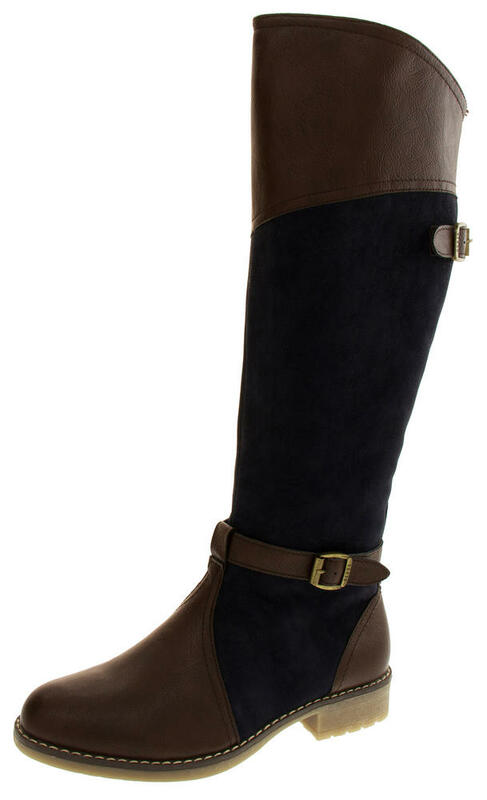 These knee high cowboy style boots have a luxury faux leather & suede effect upper. 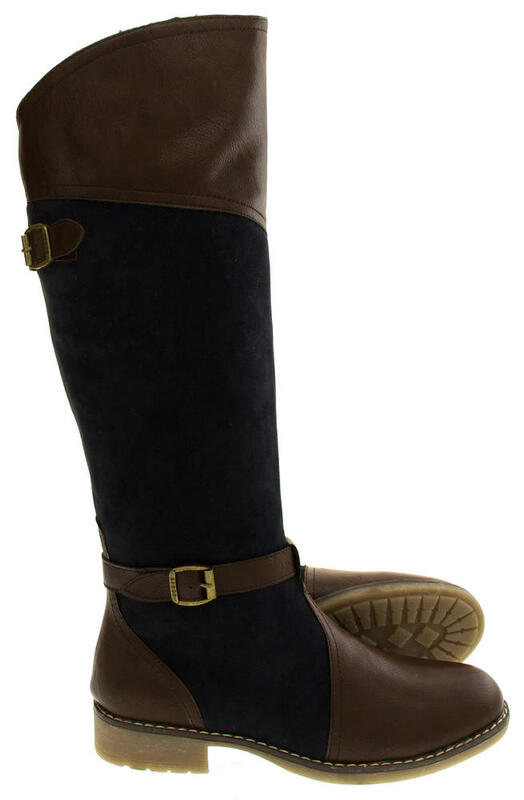 They have a curved top with decorative buckle straps to the front and back of the leg. 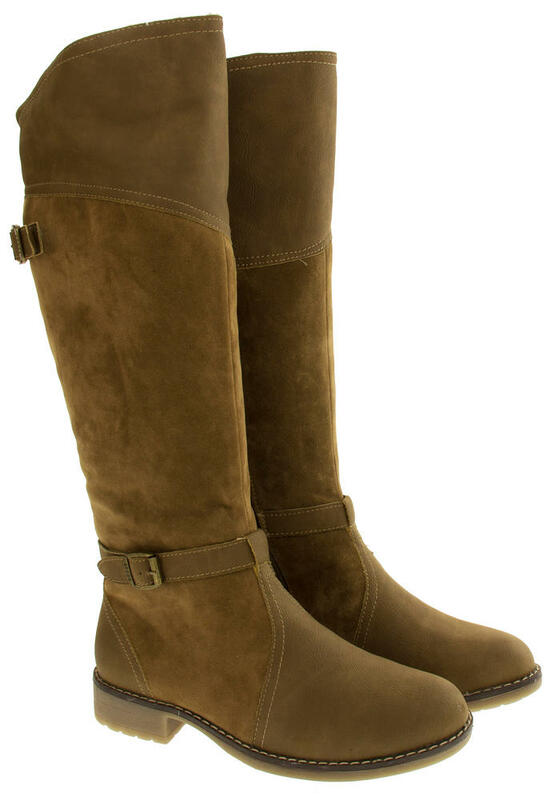 With luxury real sheeps wool lining and a WIN-TEX insulated membrane you'll never want to take them off your feet. 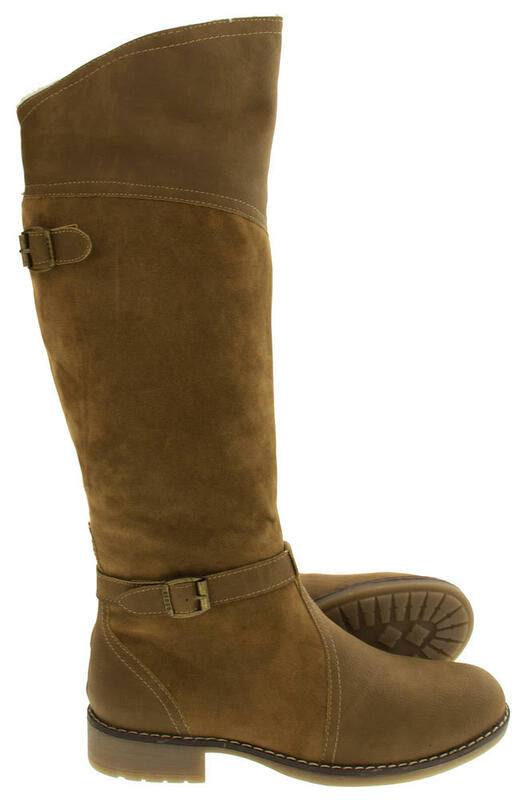 Solid sole unit with good grips.